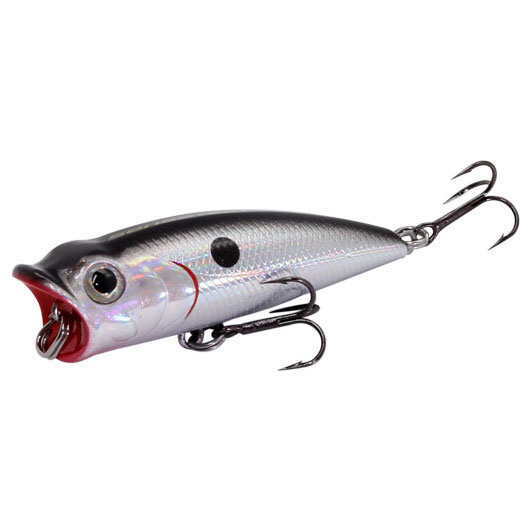 The Damiki D-Pop 70 is a well-crafted popper style bait that can also produce a tremendous walk-the-dog action. 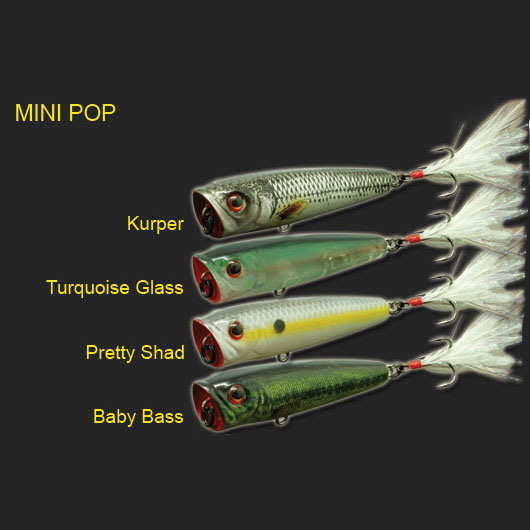 The Mini Pop is a narrow bodied popper with a spitting/popping action. 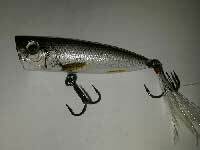 The lure is fitted with ultra sharp VMC hooks and black nickel split rings are designed to ensure ultimate strength and durability. Feather trailers have been added to the back treble hook to give the lure more action. The popping, spitting action is sure to draw attention from otherwise tight lipped fish. 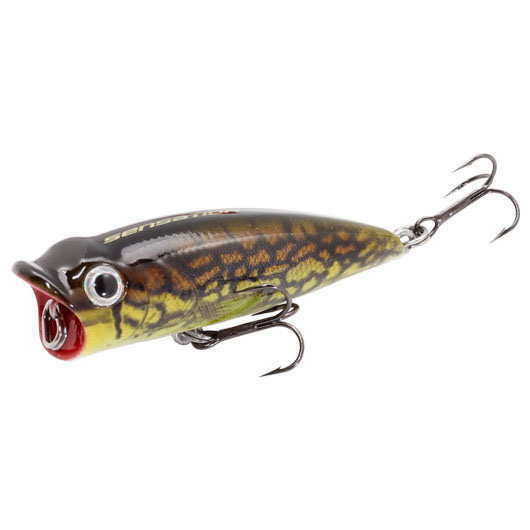 The lure is fitted with two ball bearing rattles which produce a very subtle noise. The Ultra Pop is a highly effective top water lure which often results in explosive strikes.